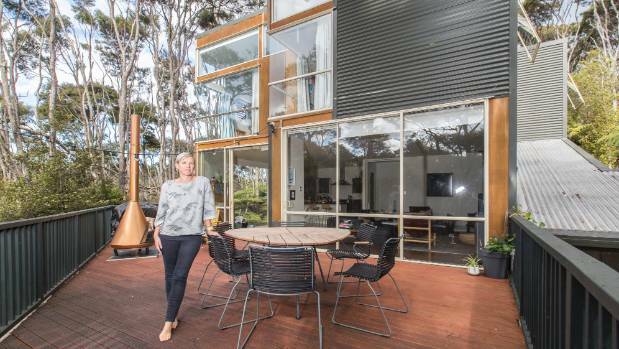 Tina Stephen lives in a multi-level home in the trees that has spaces for every aspect of life. Tina Stephen, head interior designer and founder of online styling service Roomie.co.nz, lives in an apartment-style new build in Titirangi with her husband Mark, daughter, Mathilde, and Poppy the cat. She feels proud of the way she has worked colour into her home. Stephen was limited by her home’s matching joinery and blinds, but experimented with different shades and successfully incorporated mustards, olives and dark brown/charcoal into the space. Stephen’s multi-level home in the trees has spaces for every aspect of life. “You can really change the look and feel of a home with paint choices, and if you can DIY paint then it is quick and low cost,” Stephen said. 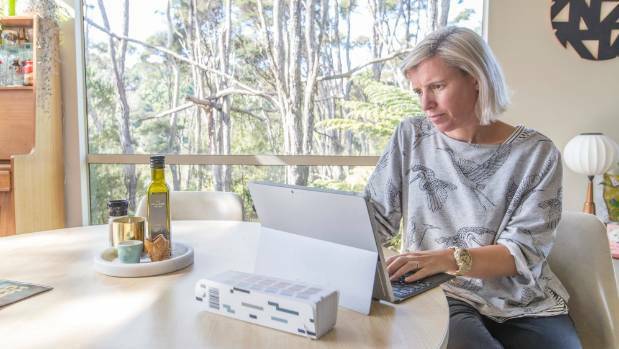 But Stephen’s absolute favourite thing about her Titirangi home is the “creative, supportive and vibrant community” she lives in, where people often drop around for………..